The term “digital” has become overused, diluted and - in many ways - rendered useless. After all in 2019, what ISN’T digital, and what’s the point in distinguishing? We have instead moved to a world that’s comprised of integrated and immersive experiences – as consumers, or as patients, as employees, etc – experiences that shape our buying habits and our quality of life. The recent announcement of Accenture's acquisition Droga5 has raised the stakes of creating immersive customer experiences to a whole new level (read our POV here). Phil Fersht, CEO and Chief Analyst, HFS Research: Can you talk to us a little bit about how digital came to be, and how Accenture Interactive came in to the space? Because you were really the first of the service providers to coin the "Digital" phrase, and really put it together, industrialize it, etc. Could you give us a brief history about how it came to be, how it got started, and what the original philosophy was, and how that may have changed in the last five or six years? Ever since IBM sold off its Daksh business to Concentrix in 2013, "call center" has been something of a dirty word to traditional service providers and software aficionados alike. Since then, traditional IT services have flatlined as the focus has shifted to digital solutions, where the customer is front and center to emerging interactive ("digital") technologies. Having that ability to lead the customer front line and support those customer needs with real-time speed and intelligence is core to business operations.... and service partners which can deliver this has never been so crucial. So are call center providers back in vogue, or is this merely a blip as we transition to a world where we don't need many human beings anymore? The contact center operations (BPO) services industry is growing at 4% globally, despite razor-thin margins and intense competition. So, why do pundits declare the call center on the brink of implosion into a piece of software, while the stagnant IT services market escapes criticism for perpetuating a “people-centric” model? While contact center BPO growth is hardly setting the world on fire, it’s been steady over the last several years, even though the majority of contact centers worldwide are still in-house. The fact that there’s still a $65 billion market for outsourcing this work begs the question why these investments are simply going away. 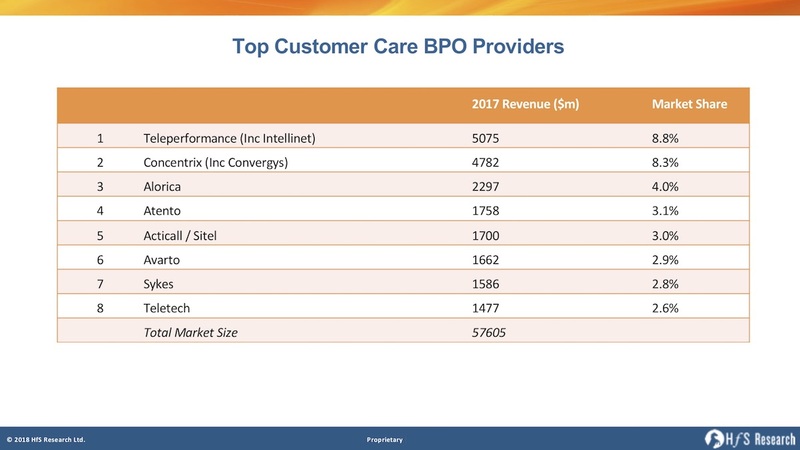 Contact center leaders like Teleperformance and Concentrix have recently made sizeable investments in bolstering service delivery (acquiring Intelenet and Convergys, respectively), reflecting the relative importance of this market segment. The recent development in which SYKES acquired Symphony demonstrates the optimism that automation can grow, not cannibalize, the contact center business. The latter, in particular, signals a promise that contact centers can use RPA expertise to scale and complement traditional contact center services business as they pivot to become more strategic providers. 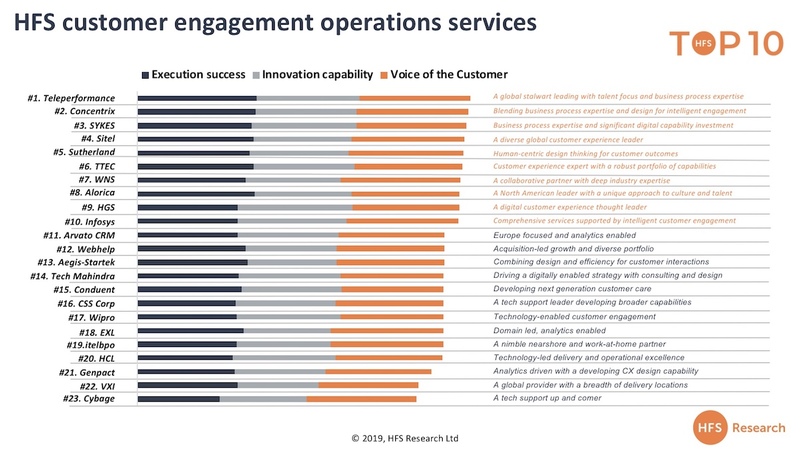 Other large business services firms are gravitating into the customer engagement market, sensing an opportunity to disrupt deals with a hybrid intelligent automation/global talent approach. Most of the Indian-heritage IT services firms with strong BPO delivery arms are gravitating back to contact centers, as they see the potential for aligning intelligent automation and cognitive assistant solutions with their global base of talent for supporting their enterprise customers. Some examples of this are with the likes of Tech Mahindra in telecoms and Infosys with order management. Cognizant, Wipro, and HCL - for example - are also competing for call center work. 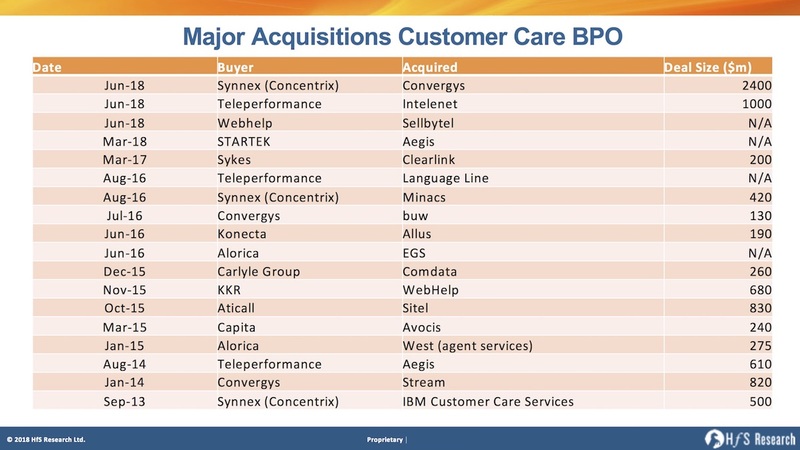 BPO firms that have been more focused on non-customer centric areas are gravitating aggressively back into the market, such as WNS, EXL, Hexaware, and Genpact. Even IBM has recently flirted with a few opportunities, despite selling its call center business, and we even cam close to featuring Accenture in our new Top Ten, but the firm was very adamant that is did everything but the contact center piece. Contact centers are ripe for a renaissance, and automation is a big piece of this transformation. The common retort that a contact center with automation is an oxymoron is false. Perhaps it’s our legacy view of contact centers and automation that is oxymoronic—and it’s time to let go of that legacy. When “digital” is ultimately about new ways of doing things, the contact center is in a more precarious and important position than ever. The contact center for companies that want to stay competitive in a hyper-connected economy must learn how to embrace intelligent engagement, using the key change agent of automation to become a strategic hub that empowers both customer service professionals and the customers they support. There is a changing of the guard happening, as HFS analyst Melissa O'Brien analyzes in her new report Top 10 Front Office Customer Engagement Services, 2019. The word "Chatbot" is officially banned: they treat conversations like they're a game of tennis: talk, reply, talk, reply. There is little to no context and zero intelligence, just pre-programmed responses only set up to deal with a pre-set finite number of frequently asked questions. It's a legacy customer experience that most of us go out of our way to avoid. To be blunt, it's easier to be redirected to an FAQ page, or even some online Q&A forum than try and engage in a dumb one-dimensional conversation. I've had more intelligent conversations down my local pub after a 3.00am "lock-in"... So let's shift the entire conversation towards chatbots with some form of intelligence...cognitive assistants. 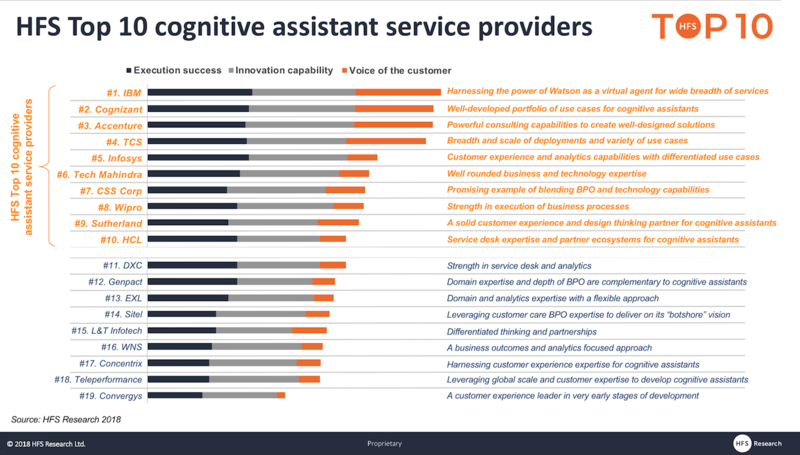 HFS Research sees cognitive assistants as the combination of conversational interaction and process execution capabilities; they combine characteristics of smart analytics and artificial intelligence. These services can include front-office facing elements (e.g., conversations with end customers) and internal employee use cases (e.g., help desk, HR onboarding, assisting contact center agents).These cognitive assistants can self-learn, self-remediate, and execute business processes. They can also often understand structured and unstructured data and then use natural language processing to learn, comprehend, and recommend next steps. Advanced cognitive assistants can also enable predictive decision making using real-time analytics. This distinction is significant as many people use the terms “cognitive agents” and “chatbots” synonymously. While cognitive agents are a less mature capability, interest and adoption are growing rapidly—and their impacts are far greater than traditional automated tools. One of the worst-kept secrets in the world of call centers finally went from gossip to reality as Synnex Corp added Convergys to its acquisition portfolio to roll under Concentrix. As we covered here in 2013, IBM spun out its call center business to the Concentrix brand and - almost five years on - will merge forces with Concentrix under the leadership of Chris Caldwell (recently interviewed here). Let's just get right to the nub here... what's good and not-so-good about this lovely marriage? The price tag is extremely attractive - especially when compared to $1 bn for Intelenet, which is a much less heritage firm in the market. At these investment levels, this appears like an amazing deal for Synnex, especially with its track record of making sound investments over the past couple of decades. We now have a very strong rival to Teleperformance at the top of the market. If Teleperformance had made this move, it may have been game over for a lot of these firms. Convergys was stuck and needed a new direction - and here is one with an exciting young firm. Convergys is a great, traditional contact ctr firm, very dedicated to its craft, but has been hurt by low-cost competition and struggled to maintain its edge in recent years. Scale can be priceless in a commodity market. When an industry is commodotizing like call center, it's often better to operate at a larger scale, so you can ringfence your legacy business and invest in strategic clients who want to work with a co-investment mentality. Geographical expansion and diversification will help the merged entity drive greater cost synergies and variety for clients. Similar business ethos. As both core contact center service providers, both have a strong global operating model for consistency of services as well as a training and employee-focused culture. The challenge will be integrating the two together, but are generally aligned in terms of employee centricity and ops excellence. Convergys has a very loyal client base that identifies with the firm, its culture, understanding of call center agents, and its understanding of their needs. Microsoft partnership. Convergys has a very promising partnership with Microsoft and capabilities to harness Cortana and other apps. CNX will need to nurture this relationship. Good technology assets. Convergys brings a solid IVR business and some very popular agent portal platforms. Gives Concentrix strong market visibility and helps shed its "we used to be IBM" tag. For Concentrix, this could help them carve out the message of what they’re doing and want to be in the market. For Convergys, lends some sense of direction in the post Andrea Ayers era. An injection of fresh thinking and new ideas. Chris Caldwell has a terrific opportunity to take his ideas to a very significant level if he can get this right, especially with acquisitions such as Tigerspike in the digital design space, and Minacs in marketing analytics and support. Chris has a bold view of where the industry needs to go - this should be a terrific challenge for him and his team. M&A can buy time to take control in a commodity marketplace. Large mergers like this create the perfect distraction to make some discreet investments, keeps the shareholders at bay for a few quarters and can (potentially) help them focus on retooling the offerings and sharpening the whole approach. However, this depends entirely on decisive leadership and swift, focused transition and very strong communication to investors and shareholders. Is bigger really better? This acquisition seems to be more about bolstering scale and size, with Convergys having little to show in terms of proprietary IP or differentiated offerings (Contrary to Concentrix's investments in Tigerspike and Minacs). However, in a market that has been largely stagnant for years, any movement like this can help shake things up. Convergys lacks a diversification in clientele with AT&T/Comcast being an enormous piece of CVG’s business. Telcos are typically the epitome of butts on seats deals—why choose a company that’s practically half telcos? Maybe this explains why the price was so attractive. Client overlaps in large accounts will impact some revenues, i.e. Cisco. The potential for culture clash. Concentrix comes out of IBM business and Convergys is essentially a traditional telco out of Cincinatti Bell … one has a background of tech and innovation and the other a very conservative and risk-averse culture. Convergys’ revenues have been decreasing the last couple of years. Call volume fluctuations and trying to compete with cost-focused customers and several butts-in-seats service providers in low-cost geos, has made it very challenging to focus on value-based deals. Appetite for automation in Convergys core industry puts ever more pressures on sustain margins and growth. For example, Convergys' strongest vertical, telcos, are increasing their self-service interactions and automation, and have the strongest appetite in the industry for increasing Robotic Process Automation investments, in addition to their outsourcing focus. Desperate mid-tier providers. Many of the midtiers service providers may make the whole situation worse, by forcing price points even lower out of sheer desperation. Let's be honest, we're in a rat-race and the game is all about who can survive the next 18-24 months to emerge ontop. Low-cost IT/BPO offshore providers making subtle moves into the contact center space as digital customer needs accelerate. We're already seeing many of the Indian heritage firms chasing after call center deals they would not have looked at a couple of years ago. They can be especially effective with "chat-only" engagements and with clients wanting to buy into a strong cognitive / automation story. Large IT-centric outsourcers, such as Techmahindra, HCL and Cognizant have been seen picking off some impressive wins with clients, especially where there are very strong IT elements. BPOs such as EXL and WNS have been much more active in the customer service segment, and EXL is making an impressive repositioning of itself as a digital intelligence provider, with some impressive depth in insurance, utilities and healthcare sectors. Let's cut to the chase here - Convergys is a great call center provider, but lacked the leadership and investment to break into the digital era effectively. This merger may just provide that opportunity for a very talented employee base with a terrific customer culture. For Concentrix, they needed one big play to get up-close-and-personal with Teleperformance, and this is the move. Plus, the price was really damn good, and we're surprised why others with huge financial backing didn't make the move, such as Sitel or Arvato. On the negative side, these contact center heavyweights appear to be doubling-down on size and scale, rather than pursuing a true OneOffice vision for digital customer engagement. We are more excited about some of the smaller acquisitions happening in the space, such as Webhelp’s recent Sellbytell acquisition from Omnicomm and SYKES’ pursuing digital marketing with Clearlink – connecting the pieces in the front office as marketing, service and sales continue to overlap and converge, and using the vast amounts of customer data they process to better engage with customers. The large contact centers can’t seem to get out of their own way—they talk about providing digital, analytics and CX consulting focused services, but the reality is that the bulk of their business is still traditional contact center. Despite some real capabilities, salespeople aren’t incentivized to sell a different way, and customers aren’t ponying up to partner and buy a different way. Continuing in this paradigm is a short-sighted view… look at what is happening with eroding revenues from the telco sector now, the most mature of the contact centers will eventually happen in other sectors, such as retail and banking. In addition, the wave of "chat only" deals are increasing and threatening the life out of the traditional voice business. Providers like Teleperformance and Concentrix don’t have to disown their core business – there’s always going to be a huge market for traditional interaction management, however, adding some truly differentiated digital offerings would be a much smarter long-term strategy. Digital is all about an organization's ability to respond to the needs of their customers as those needs happen - or even be smart enough to anticipate those needs before they happen. This is all enabled by interactive technologies to create those touchless interfaces with the customers. Smart analytics and AI enable organizations to anticipate these needs based on the ability to recognize patterns and inferences over time, but nothing can really substitute for human intelligence to bring customers, suppliers and employees closer together, unimpeded by frustrating silos and legacy processes. Remember, every broken process chain, or poorly converged dataset, slows down an organization's ability to do business in real-time and stay ahead of its market. Traditional barriers between front, middle and back offices hinder the true ability of companies to operate in this real-time, responsive and anticipatory digital fashion, which is why we coined the term "OneOffice", where the unification of digital business models, intelligent automation, analytics and creative talent is happening before our very eyes. 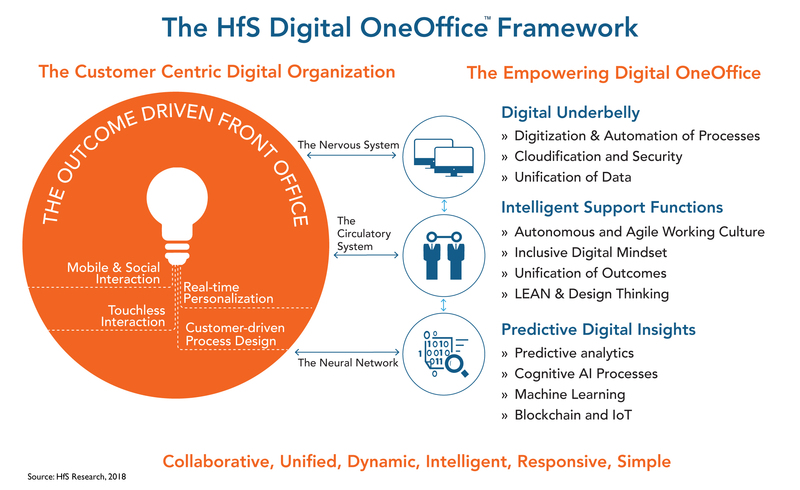 The HfS Digital OneOffice Framework (see below) describes how organizations must integrate their digital customer interfaces with their operations in order to fulfill and anticipate their customers' needs. It is the organizational end-state to survive and succeed in a world where digitized processes dictate how responsive, agile, cost-effective, predictive and intelligent firms have to be to stay competitive. So how did the Winner's Circle service providers fair? Well-rounded portfolio across OneOffice: Accenture has the best performance overall across the OneOffice portfolio, and a breadth of industry expertise to complement it. Accenture placed in the Winners' Circle for each of the Blueprint studies used to compile this OneOffice assessment. 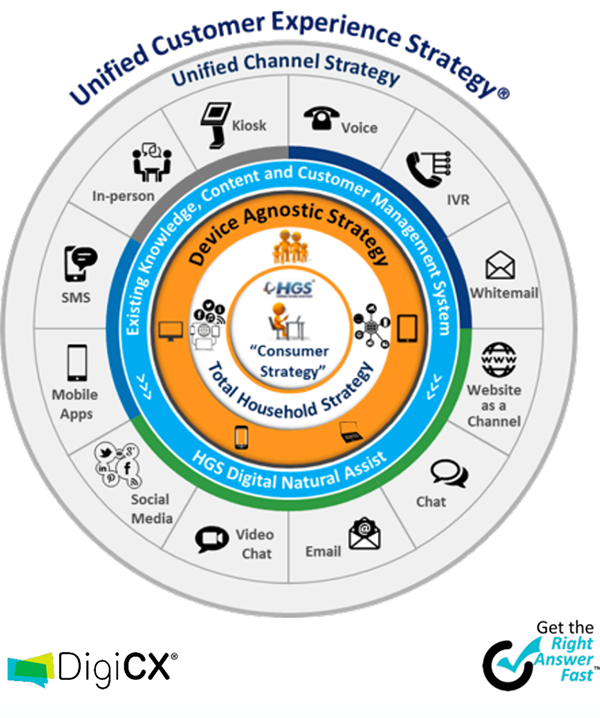 Strong marketing operations capabilities to support integrated digital OneOffice offerings. Accenture has 16,000 business-focused staff dedicated to delivering digital marketing assignments - a considerable asset that goes well beyond the firm's IT delivery. Strong intelligent automation capabilities. Acquisition of GenFour and exciting partnerships, with significant investments, with the likes of Automation Anywhere, Blue Prism and IPSoft. Winning with thought leadership: Accenture is well-known as a thought leader across many of the change agents as well as within individual industries. C-Suite relationships beyond IT. 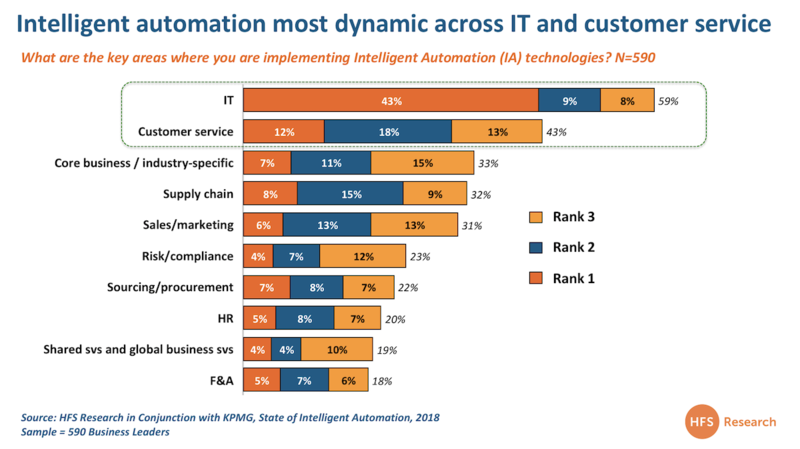 Digital business and intelligent automation decisions are largely being driven by both IT and business C-Suite executives in the Global 2000. Accenture has the combination of strategic relationships outside of IT, in addition to the managed services execution. Size can work in its disfavor: Its size and success have given Accenture a reputation as a premium, high cost, and less responsive organization. 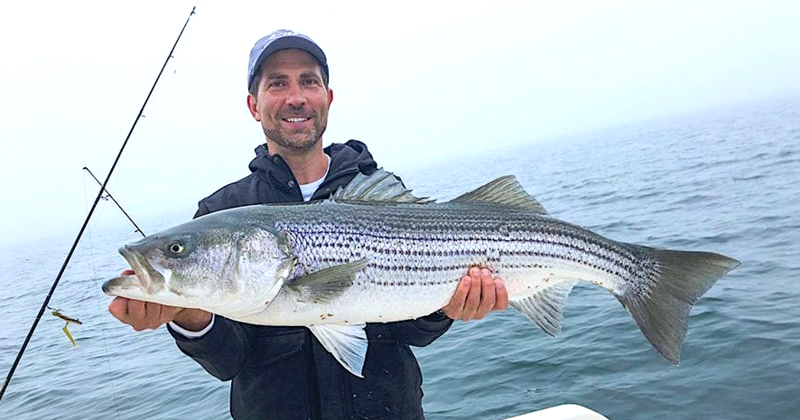 In particular, for smaller companies, just this perception in the market can steer buyers instead toward more niche specialized agencies and the attention, flexibility, and experience they receive from a smaller provider. Finding the right culture balance: Accenture is well known for its results-driven, traditional consultancy culture, which will need to be balanced out or effectively blended with the more left-brain focused acquisitions in order to retain creative talent and remain generally effective. 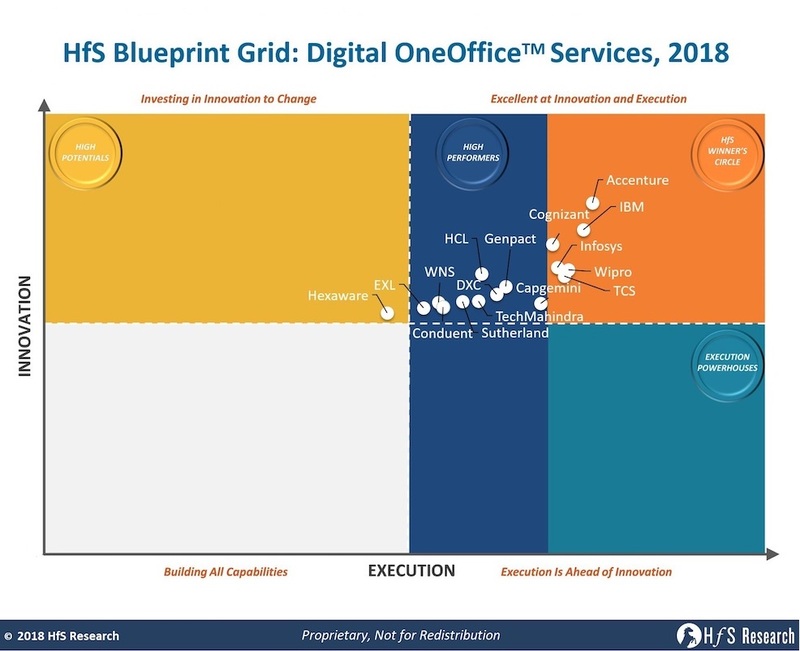 Proving to the industry it can deliver the end-to-end Digital OneOffice portfolio: There is no doubt that Accenture can pick up strategic work and execute for clients, but being able to demonstrate to the industry it can deliver both the strategic design integrated with complex operational delivery - at scale - is still in its infancy. Many of its competitors will fight hard for execution work where Accenture is delivering the high-end design and consulting. It needs to demonstrate the "one-stop OneOffice shop" is where it wins. Strong intelligent OneOffice offering: Market leading capabilities to drive the OneOffice underbelly (automation, security, cloudification) and neural networks (AI, smart analytics, blockchain, and IoT). Impressive development of credible global automation capability and several notable early wins. Portfolio breadth: End-to-end and scaled IT and business process services across front, middle, and back-office. Horizon 4 investments: Very strong investments and IP in horizon 4 (and beyond) technologies that will shape the future (e.g., Quantum Computing). Watson: The analytics/cognitive powerhouse has a significant role to play as a cognitive virtual agent, an analytics resource that has huge scalabiity and a long-term investment area for firms with deep interests in their cognitive capabilities. Size can be a disadvantage: IBM is a large and complex organization, which makes it hard to seamlessly deliver all that it has to offer. Translating tech to business outcomes: IBM is often perceived as a technology powerhouse, but one lacking the business translation and context to successfully apply emerging technologies. Agility: Lacks the nimbleness and flexibility of smaller players. Focus on cognitive may impede its ability to compete for design-focused end-to-end deals: IBM has substantial credibility to drive analytics-driven, cognitive/automation projects, but its lesser focus (over the last couple of years) on true digital design may see it lose out to firms such as Accenture and Cognizant, where digital is firmly established at their core. We are excited to welcome Kate O’Neill, marketing guru, cultural strategist, and technology humanist, to keynote at our upcoming Chicago event. As HfS brings together the industry community to exchange ideas and experiences, Kate will be leading the discussion about how data and technology shape our experiences as humans. Kate will also be running a digital OneOffice breakout session with me. I recently caught up with the “Sandra Bullock with brains by Microsoft” to hear what she’s working on and what to expect from her session at the summit. Melissa O'Brien, Research Director, HfS: Kate, we are really excited to have you joining us next month in Chicago. Our attendees are curious-- you describe yourself as a “tech humanist”-- can you tell us what you mean by that? Kate O'Neill, Founder, KO Insights: I mean that data and technology is increasingly shaping our experiences as humans, and with every technological advancement, with every innovation, I want to encourage us to think about the impact on humans and the human experience. In my last book, for example, Pixels and Place, I examined the convergence of physical and digital space, and how that convergence fundamentally happens through human interactions. I’m now working on another book in the same spirit. Melissa: Tell us about the next book. Kate: It’s coming together around AI, predictive analytics, and other forms and components of automation, and, again, how those are and will shape our experiences as humans. The world has been changing toward this automated systemic society for some time now, and I’m examining what that will look like for us, from a human-centered bias, as it continues. One of the key questions, of course, is around the future of work and the workplace, since there’s a lot of anticipation and anxiety about the impact there. We’ve traditionally derived a great deal of our sense of accomplishment and contribution — our sense of meaning, really — from our work, and as the nature and composition of jobs change, it’s important that we consider what that will look like. The big question in all of this is how we make sure we are emphasizing humanity and creating value for ourselves — both for humanity and for profit. Melissa: What do you think this will mean for businesses as increasingly intelligent automation start to transform our human experience? Kate: Well, one of the recurring areas of focus in my work is the alignment between two forces: the insights that well-modeled, data-rich experiences can provide to business about human behaviors and motivations, and the integration of data and technology into business and organizational processes. People talk a lot about digital transformation, but this is what it means to me: keeping human experience at the center, but taking advantage of the gains and efficiencies that data and technologies have to offer. In addition, business needs to be responsive to and mindful of what’s happening at the intersections of the physical world with the digital experience layer. Because for the most part, where those worlds meet, it happens through us: through human interactions and transactions. Our movement through the world, our purchases, our interactions online — all of these create a data trail that is compelling and rich with patterns businesses can mine for clues about how to sell to people more effectively. And machine learning will continue to improve on how to harness that data. Which means, on one hand, there’s huge opportunity for business growth and acceleration, but there’s also this huge looming economic question mark about the accelerating impact of automation on the workforce, and how that will change the mechanics of employment and of income, and even the fundamentals of value. I expect that we’ll increasingly place a premium on human interactions — and those that feel like human interactions. That’s a lot going on! And I think it’s a tremendous opportunity for businesses to step out ahead of the competitive set and really bring all these forces into alignment — the customer experience, the data model, the operational deployment of smart and automated technologies. To do that really takes a deep understanding of what the business offers at a fundamental level, and dimensionalizing that purpose throughout all of these other parts and processes. Melissa: That certainly is a lot… and I know our summit attendees will be eager to have these discussions next month. What can the folks attending our Chicago summit plan to learn about in your session? Kate: I want to encourage people to think about all kinds of data and emerging technology like automation, artificial intelligence, chatbots, connected devices, and so on as opportunities to deliver more meaningful human experiences at scale. We’ll talk about why and how that can work in practice. There will probably be one or two mentions of cats, too, but I haven’t figured out yet how or why. Melissa: Presentations are always better with cats…. Thanks for the preview, Kate! We are looking forward to your next book and hearing from you directly at the Chicago Summit. Learn more about Kate's session and the rest of the agenda for HfS' Future of Operations Summit in Chicago (September 19-21). Can virtual assistants help to heighten the value of customer interactions? CSS Corp looks to Yodaa for wisdom. In a world of inflated hype around chatbots and where customer service interactions solutions claiming to be AI or cognitive are popping up at a feverish pace, it’s up to service providers to take a stance and articulate a strong value proposition. 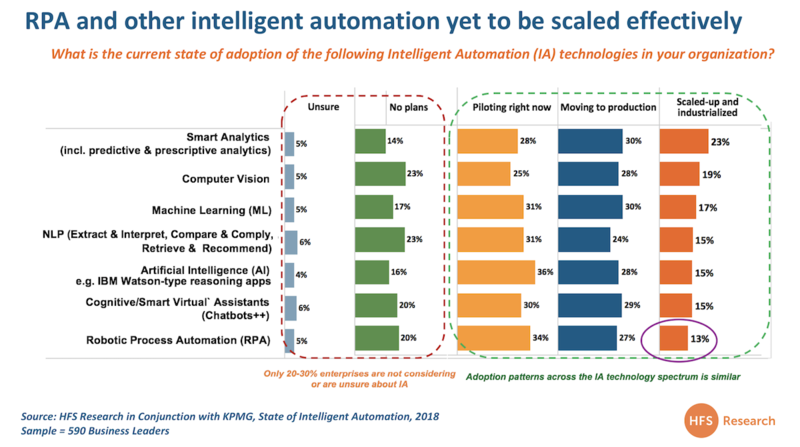 Most pure play contact center service providers don’t have much of a strategy for Intelligent Automation in general and in AI in particular. Many are exploring partnership options or allocating tiny budgets to develop their own chatbots and lower level machine learning tools. CSS Corp has decided to flex some muscle and use its own IP to develop a virtual assistant, “Yodaa,” claiming to be an AI tool capable of “human-like” interaction. Combining NLP and machine learning, the SaaS-based solution can be used as a standalone support interface across contact center channels or as a platform integrated with Amazon Echo, Apple Siri, Microsoft Cortana and Google Now. It also has the ability to understand customer intent and learn from its interactions. CSS Corp is piloting Yodaa across 3 clients and 1 client has already gone live with the virtual assistant. While the broader market gets excited about chatbots, the best way to discuss Yodaa’s capabilities is to look at the evolving landscape of service agents across a continuum (see graphic below) from more basic back office automation of processes all the way through to process execution on interactive channels. Without seeing specific use cases just yet, our best guess is that Yodaa falls somewhere on the spectrum between chatbots and virtual agents. It's self-learning capabilities take it beyond the traditional bot to integrate with enterprise systems and learn from conversations, as well as combine both human and machine learning in what CSS Corp calls a “cotelligent” platform. Its multi-channel capabilities plus ability to integrate with existing consumer virtual assistants is another important feature. What remains to be seen is whether Yodaa’s capability extends to process execution the way that IBM’s Watson and IPSoft’s Amelia have demonstrated: to help front office professionals make better decisions with insightful, predictive data and analysis or routing customer requests to execution, or interact (in the case of Amelia) with some level of “emotional” intelligence. At the far right of the continuum, virtual agents are not only automating tasks to support the digitally-driven front office behind the scenes but also using cognitive intelligence to have meaningful, secure, and efficient interactions with customers. But, cutting through the hype, we’ve yet to see a virtual agent that really can replicate a true human interaction or execute processes the way a human can. IPSoft’s Amelia is the closest we’ve seen to be able to execute at a close to human capability.They’re getting more sophisticated, and ultimately these tools may replace some customer interactions, but not all. Ideally, virtual assistants and agents can help human agents do their jobs better to support the customer experience-- by providing context and recommendations to agents, promoting more valuable interactions.This opens up the door for cross-selling and upsell opportunities, as well as promotes loyalty and satisfaction with customers, whereas lower level chatbots and automation simply replace repetitive tasks and automate basic functions without adding much value. The Bottom Line: Virtual assistants have the potential to help transform the contact center if used correctly. As Yodaa’s namesake famously said, “you must unlearn what you have learned.” Cognitive agents are not going to work well if they’re slapped on top of or inserted into broken and bad customer support processes. Customer service executives need to re-think and re-design the processes that contribute to customer experience across the board, which means “unlearning” bad habits, throwing away legacy thinking about “this is how we’ve always done it” to embrace making the contact center a much greater strategic entity within the enterprise-- one which doesn’t continuously solve simple, repetitive issues (at great cost) but finds ways to build value. We explored this concept with CSS Corp in a POV last year, where we discussed the ways in which contact centers can transform from a cost center to a profit center—most notably, we looked at how enterprises can drive more revenue by analyzing their real-time customer interaction data and support contact flows. Virtual assistants like Yodaa contribute to this strategy by making data and context easily available and automated, becoming a valuable tool for marketing and sales as well, by learning from customer conversations to better understand their needs and expectations. The lynchpin of success in the contact center for virtual assistants like Yodaa is the capability to fulfill a very important customer need for simplicity. It all boils down to making things easy for the customer while looking for opportunities to add value when appropriate.The Yodaa tool claims to understand customer intent and be able to learn from its conversations, which can provide a huge benefit to making customer service easier. CSS Corp’s Yodaa is onto something with its learning and integration capabilities, and looking forward we will see if customer stories pan out to show this is a capability which stands out amid the din that is the topic of service agents today. In Q4 we will be exploring the world of service agents in more depth as we launch our first Cognitive Agents Emerging Market Guide. Last week, Accenture announced the latest in its 2017 $1.8 B shopping spree with Boston-based mobile design and development company Intrepid. This is a part of Accenture’s strategy to dominate the Digitally-driven Front Office with the vision to offer its clients a model with no business silos where the barriers between the front and back office are removed forever; as described in HfS’ Digital OneOfficeTM. Accenture’s strategy goes beyond the ambitions of growing and maintaining the largest digital agency in the world. It’s about building capabilities to impact its clients’ transformation, finding unique capabilities in opportunistic Geos, opportunities for pull-through with its other services, and a keen focus on impacting the customer experience. Intrepid’s 150 employees will join Accenture Digital, the division where many of Accenture’s customer experience focused services reside. Intrepid’s engineering talent and capabilities, such as it’s work with Saucony Stride lab -- an app that helps runners analyze their stride for better performance-- falls right in line with the kind of digitally-driven customer experiences Accenture is looking to help its clients achieve. There are also great client synergies between Accenture and Intrepid, in particular around P&G, Accenture’s marquee client for front office services and an organization which is at the forefront of value creation from front office services. Accenture was recently placed in the Winner’s Circle of our Digital Marketing Operations Blueprint. This acquisition will further solidify its position, in a space where Accenture’s ability to replicate its Digital Front Office services across industries is also emerging as a competitive differentiator. The ‘string of pearls’ M&A strategy across the core pieces of digital transformation is illustrative of the service provider’s forward thinking vision for the evolution of this market. These acquisitions span across various core pieces of digital transformation, such as include aVVenta for content, Cimation for IoT consulting and Chaotic Moon for digital technology design and prototyping, complementing customer experience services and helping the service provider double its digital marketing operations business over the last two years. What is the common theme in each of these selections? A clear focus on digital customer experience and design. Accenture also stands apart from the competition in the sense that it seems to avoid falling to the temptation of talking immediately about technology and software (in spite of the strength of its technology assets and partnerships), and instead focuses on the business value. This management consulting legacy and mindset is part of the company’s DNA and a big part of how it builds trust with its clients. This flurry of M&A activity is bold, but not without risks and potential problems. One of the greatest potential issues is addressing the clashes of so many disparate and vastly varying organizations both operationally and from a cultural perspective. Accenture’s culture is built on thought leadership, delivering operational excellence, and not necessarily in sync with more “creative type” cultures that will inevitably come with the acquisitions, it’s been targeting. For now, the strategy seems to be running these entities independently, almost using them as R&D centers wherein their original cultures remain intact. But inevitably over time, some cultural transformation will occur, morphing the digital giant and its entities into something new-the question is whether legacy Accenture becomes a more creative, innovative organization-or it’s subsidiaries turn more corporate, potentially snuffing out some of the creative fire and losing key talent in the process. It also risks its size becoming a deterrent for buyers who prefer the niche specialized agencies and the attention, flexibility, and experience they receive from a smaller player. Another potential threat is that Accenture might become complacent in delivery and execution given its dominance from a capability perspective in this space. This acquisition moves it up on our innovation versus execution grid, but will Accenture also move toward the right? We will be watching that as Accenture continues to enhance its capabilities with these innovative firms. As Anatoly Roytman, head of Accenture Interactive for Europe, Africa, Middle East and Latin America said (of the Kuntsmaan acquisition): “Together, we’re bringing our unique model to the market: part creative agency, part business consultancy and part technology powerhouse – all laser-focused on creating the best customer experiences on the planet.” The refrain we hear constantly from service buyers — Accenture’s included—is “more innovation!” Accenture has certainly amassed an array of building blocks to address this demand globally; now the hard work begins to pull these pieces together – a ~$10B digital agency with many moving pieces, specialized skills and domain capabilities – to execute on transforming the digital customer experience for its clients. “We are a customer experience company,” declared Chris Lord, Global Head - DigiCX; Growth, Strategy, and Marketing at Hinduja Global Solutions (HGS). This was in response to a discussion about HGS’ decision to partner for most of its tools and technology rather than to take the road of internal development. During its recent Analyst Day, the ~$550m BPO shared how it will use its expertise as a provider of customer engagement services to fuel growth and adoption of its “DigiCX” vision. HGS focuses on a suite of solutions aimed at finding the right balance between digital and traditional customer engagement for a unified customer experience. DigiWEB: Website self-help that maps out the common issues and has resolutions built in, including videos (made by HGS) for demonstration. One client engagement cited a 97% resolution rate using DigiWEB self-service. DigiMessaging: A chatbot that works inside messaging apps (What’s App, Facebook Messenger) and pivots to a live agent while retaining the conversational context. DigiTEXT: Chatbot capabilities deployed within SMS, with phone number recognition and connection to a business rules engine for greater analytics power. DigiINSIGHT: Post- conversation surveys increasing survey response rates and analyzing customer expectations. DigiSOCIAL: Uses social media sites to derive customer insight and sentiment. DigiEMAIL: Automated email responses. In one client example, was able to cut down the # of email correspondence to resolve an issue by more than half. What’s holding these elements together is a vision for “unified CX” designed to find the right components for each client’s customers’ needs. And with this vision is a keen interest in helping clients understand their own needs and maturity, including a digital maturity matrix assessment. It’s refreshing to hear the unified CX discussion in contrast to the hackneyed “omnichannel.” What these solutions aim to achieve is not a CX strategy that is everything to everyone all the time—it’s about providing the customer with options, guidance and journey paths that make sense. HGS’ messaging is to intelligently integrate “BOTS and Brains” as the optimal way to transform CX to provide business impact for their clients. HGS is hoping to use its aggressive governance and engagement model to drive adoption of these solutions and become a more strategic partner with clients—engaging in quarterly strategy sessions for example, instead of just the standard QBRs. It’s wise for HGS to not try and re-invent the wheel, especially with ubiquitous technologies like chatbots. HGS leadership is well aware and transparent about the need for cannibalization of volumes and revenues that come with this kind of self-service and automated strategy—“we need to get smaller to get bigger,” is the refrain we heard throughout the event. But when you’re making this kind of play-- focused on the expertise and design, not on the platform-- a service provider then needs to more clearly articulate its value and differentiation that the expertise brings. It’s the human connection and outcomes that matter—those that impact customer experience and ultimately top line growth at their clients. For example, what does an improved resolution really mean to clients in terms of CSAT, NPS and loyalty? What kind of training and differentiated talent strategy is required to serve the higher value customer interactions that leading by self-service demands? These are the questions that need to be answered in order to prove the DigiCX vision can execute, and are the next steps in HGS’ journey as a customer experience company. Points of View: Accenture is officially a full service digital advertising and marketing partner. But can you break down your internal silos to take advantage?